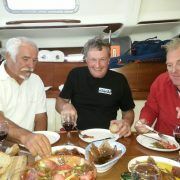 Gourmet Sailing is one of our longest-running and most popular programs. Sailing along while enjoying the delicious food? Yes! 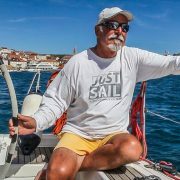 Zivko, our top instructor will take you to this unique sailing adventure. Beside his top sailing skills, you will discover his culinary skills and enjoy his delicious meals. And you’ll ask him for his recipes! During this journey, you will be fishing if you want to, but if you fail, there is always the fish market. You will have plenty of opportunities to listen to his sailing stories which only few can tell. Your gastronomic, sailing adventure begins. When you have the chance to sail with ANA base manager Zivko Matutinovic, it isn’t only that you sail with one of the most experienced sailors in Croatia and on the Mediterranean. 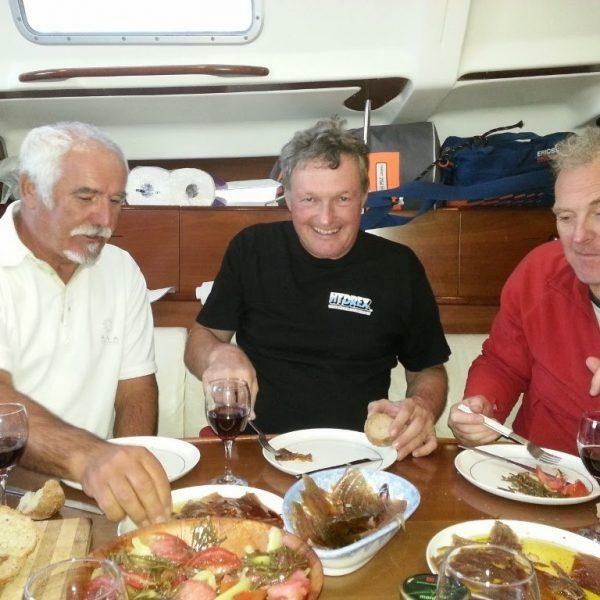 Because, not many people had the chance to participate in the Withbread round the world race (today Volvo Ocean Race) as Zivko did. But, we are not talking only about his sailing knowledge here. 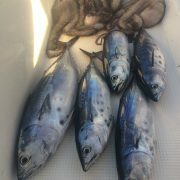 There’s a Gourmet sailing with Zivko – a true mediterranean experince! Zivko has many other maybe less known but nevertheless very important virtues. As a descendent of a family who had a restaurant he was surrounded with guests from very young age and he mastered the skill of hosting them. 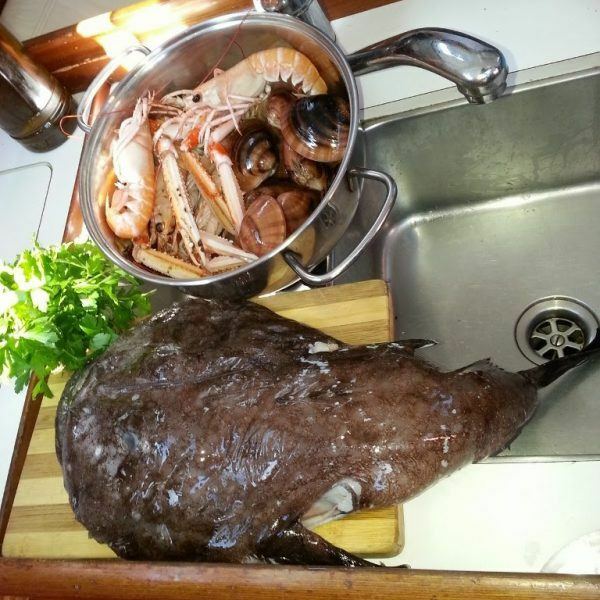 He developed his culinary skills as well so he is an able cook and great connoisseur of Mediterranean cuisine. He has worked in restaurants from his hometown Zaostrog to the far Australian Syndey. In accordance with that philosophy, Zivko is happy to do anything to please the guests. That resulted in a Gourmet sailing, on which his various skills are combined and an artistic masterpiece is made. Put the shells on olive oil and cover the pot. When the water is boiling, add pepper and a little wine. Bring the shrimp to the olive oil and turn them around when it’s red. Then add chopped parsley, garlic, pepperoni, salt, pepper and white wine. Squid, whole and cleaned, put on not so warm olive oil and slowly burn them. After five minutes, turn them over and cover the dish. When baked, add salt, pepper, chopped garlic and white wine. Enjoy eating on the deck, from the containers in which food has been cooked. Next to it is bread and a glass of wine. Shells and other residues should be throw into the sea. Participants are required to check in on Saturday at 6:00 pm.Official start of the program is on Sunday at 8:30 am. Sailing route depends on the wind and sea conditions and is subject to change. Safety first! 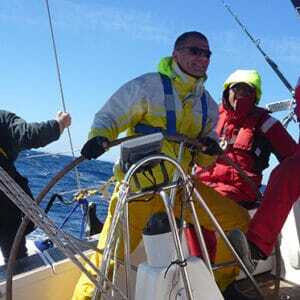 Sailing gloves, two pairs of non-slip shoes or sneakers, T-shirts and long sleeve shirts, short and long pants, strong sunscreen, a cap or a hat, sunglasses, towels, personal hygiene items, bathing suit, towels, mosquito repellent.If you are sailing during colder months, please bring a warm, waterproof jacket, pants and a sleeping bag. The price includes: accommodation onboard, sailing program, an instructor, logbook, berth in base marina, bed linen, fuel, tourist tax, VAT. Additional costs: meals for the participant and instructor and other marina’s costs (approximate cost 140 EUR, meals on board), arrival and departure costs, parking fee (weekly parking ticket 18 EUR, required payment 01.06.-30.09., otherwise free of charge), travel insurance. Rates apply to accommodation in double cabins. The upgrade for the use of a single cabin is 60% of the listed price. 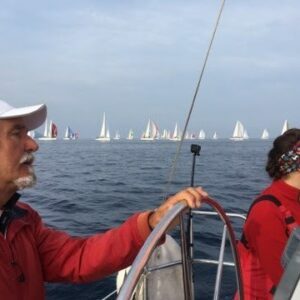 Sailing to Otranto, Italy is a sailing adventure for experienced sailors! 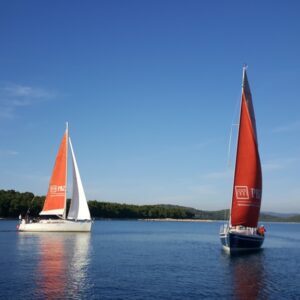 If you are eager to test your limits, to train your existing sailing skills and to acquire and practise new, this is the perfect sailing program for you! For those who want to experience and explore unknown in a companionship of fellows with similar attitude. 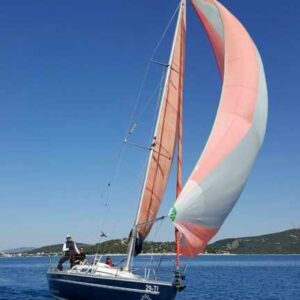 All this under supervision and guiding of the most experienced sailing instructor who knows this sailing route and takes care about your safety. And your enjoyment! 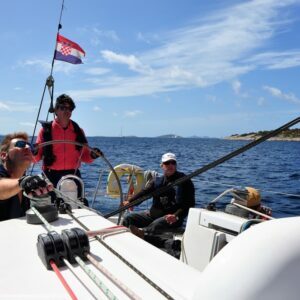 Sailing to Dubrovnik is our program designed for sailors who want to upgrade their sailing skills, meet new friends, collect NM in their logbook. 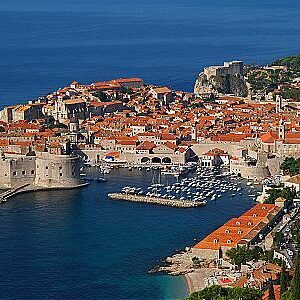 Enjoy the beautiful Croatian coast and the legendary city of Dubrovnik, indeed! Sail break for all sailing lovers! 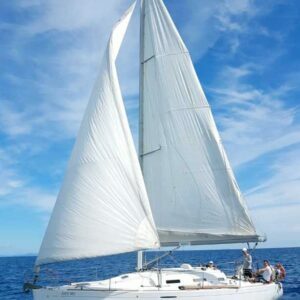 Full three days on a sailboat, upgrading of basic sailing skills and infinite pleasure at surrounding nature. Can it be better? For those of you hopelessly infected with the “sailing virus” for which there is no cure, other than, of course, more sailing…! 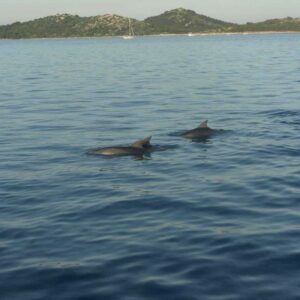 We have prepared the Kornati cruise. Kornati are also known as heaven on Earth. 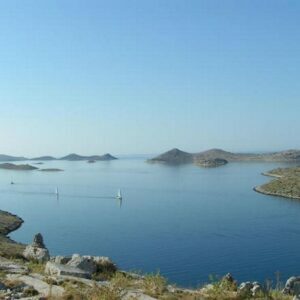 Kornati National Park consists of 89 islands, islets and reefs, with a total length of 19 NM and a width of 3.5 NM. On this cruise we’ll visit its beautiful bays and islands, along with the enjoyment in delicious sea food for every demanding palate. You have made the first sailing steps which convinced you that sailing is the right activity for you! That’s why you want more, and besides the sailing, you are looking forward to meeting new friends, learning more, and having a great time in a beautiful environment. 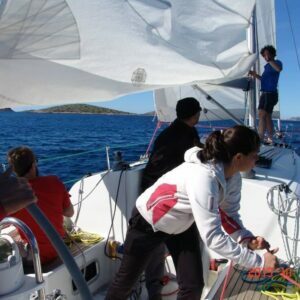 This course is an upgrade to the basic sailing knowledge, and you will learn how to adapt to the sailing and weather conditions at sea, and through the advanced sailing, repeat already acquired knowledge. You will adopt the basics of terrestrial navigation, sailing with a spinnaker and docking with the engine. 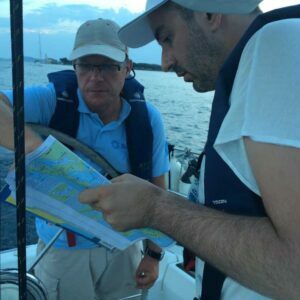 You will be prepared to take the examination for the license “Boat skipper Category B”. You have few days off only? And already have fallen in love with sailing? In three days of cruising you will recharge your energy and enjoy the freedom of sailing in Murter archipelago. This will be your first sail out from the base marina, and this is something you will certainly remember forever. Pack your gloves and towards Murter! You gathered sailing experience and knowledge on courses, while sailing with others and reading books. You think it’s time to set sails on your own and you would like to acquire enough skills to take the responsibility of a skipper. Besides that, you would like to get a certificate that’s accepted as a licence valid for renting a boat or even working worldwide. 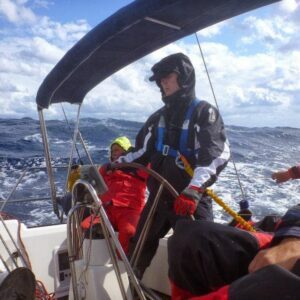 Come for the RYA Day Skipper Practical – Advanced course. Is this for you? Passionate sailors will perfect their sailig skills in the friendly company of other crew members. For those who want to build up nautical miles will record 220 NM. For those who want to relax and enjoy wonderful nature. 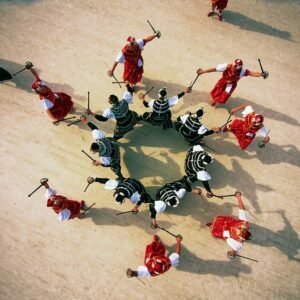 It is a pleasure to visit the most beautiful islands of the Adriatic! Out of 1246 islands, we have chosen this sailing route knowing you will enjoy sailing as well as the destinations! Hoist the sails and let’s go! A skipper is a person who is in command of the vessel and the entire crew, and therefore has the knowledge, skills and authority necessary to take that responsibility. The word is derived from the Dutch word Schipper – “ship”. 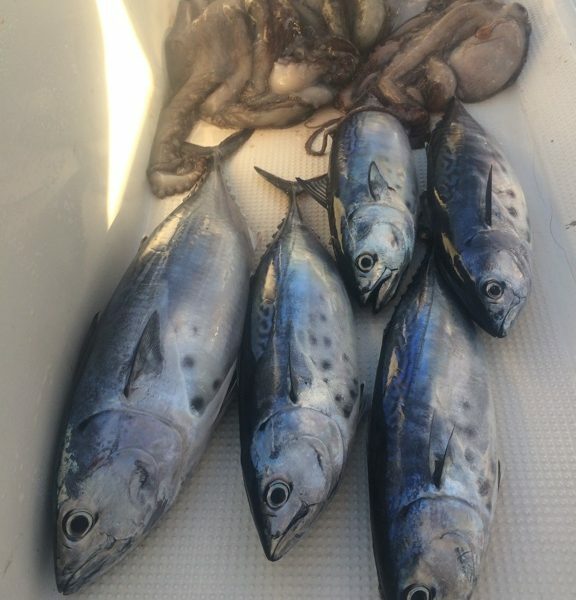 By participating in this unique program, you will master the knowledge and skills needed to perform duties of a skipper or the commander on board. It is good to notice that the market demand for the profession skipper is constantly increasing. 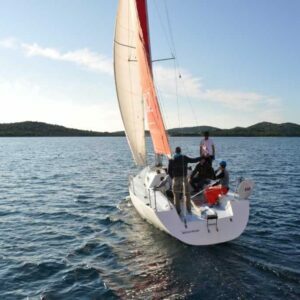 This adrenaline program which ends by participating in one of the established race, is designed for anyone who wants to try the competitive sailing. 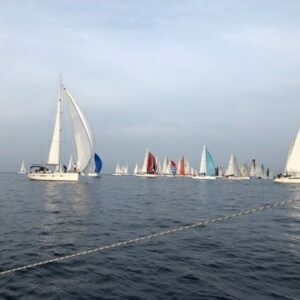 In addition to sailing, program of the race course is enriched by theoretical preparation that includes the following topics: the history of race and type of racing fields, crew and ship preparation for the regatta, trimming of sails and mast, regatta rules, tactics of start and sailing during the event, signals in the starting procedure, protests and rules of the registration for the event. 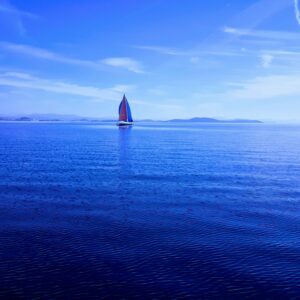 In first few days you will sail in local Murter waters and will practice daily until the time of departure to the place of the race. 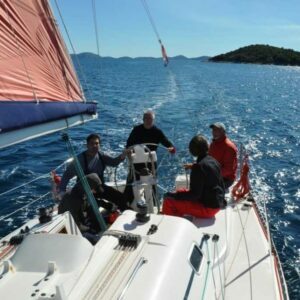 It will be Vis, Jabuka, Sibenik and the new one in our offer Zadar regatta “KOKA”. After sailed regatta awards ceremony, we will continue back to Murter.